This year sees two changes made to Article 10.8 of the Sporting Regulations relating to pit stops. Firstly, the wheel change mechanics can bring two air guns into the working area and, secondly, they can now do the job during refuelling. This new rule will undoubtedly have an impact on team strategy. As the popular saying in motor racing circles goes, “races are won and lost in the pits”. Le Mans is no different. Clearly, the less time you spend in the pits the better. 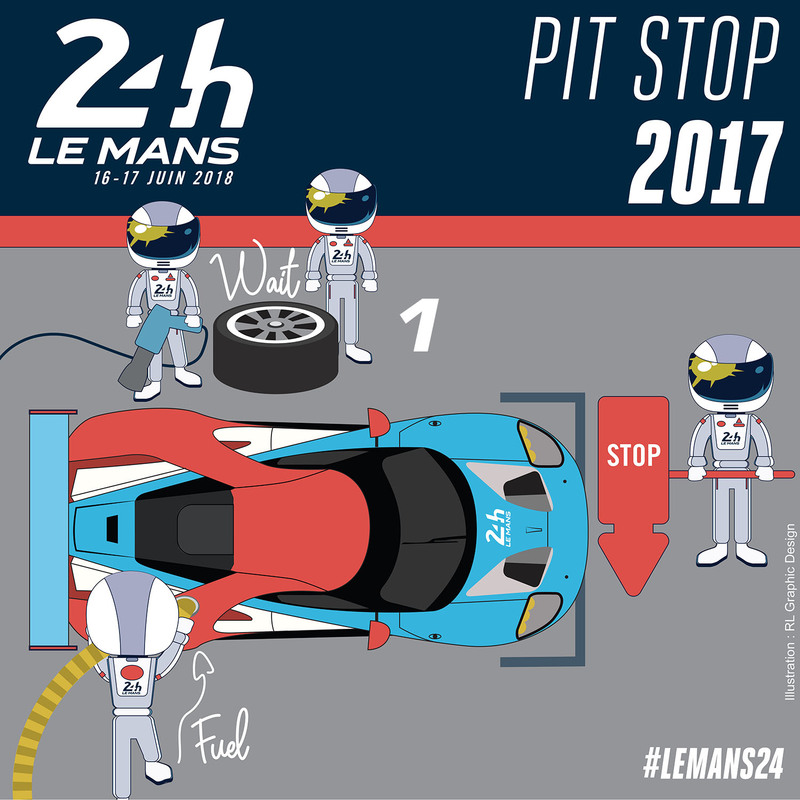 The new rule that comes into force this season reshuffles the cards in this respect as the mechanics now have two air guns – instead of just one – and can intervene during refuelling, which was previously forbidden. Firstly, for safety reasons – to protect the pit mechanics. However, a lot of progress on the equipment has been made in recent years. It was also not allowed for technical reasons to ensure that competitors did not exceed their tyre allocation. Before each race, each tyre manufacturer communicates a tyre list to the marshals. This list contains all the tyre references liable to be used during the race. Previously, at each tyre change, the pit marshals had to read the bar codes on each tyre to check that they matched the list. Today, the tyres contain an RFID (Radio Frequency IDentification) tag. An automatic reader at the pit lane exit detects in real-time which tyres are fitted to each car as it enters the track. The system then checks the tyres against the list and monitors the quantities used instantly. Why not cut the number of tyres allowed? Going back to that adage that an endurance race is won and lost in the pits, the #2 Porsche 919 Hybrid may well have disproved the theory last year, triumphing after rejoining the field in 56th position following an hour-long repair due to a loss of front axle power. 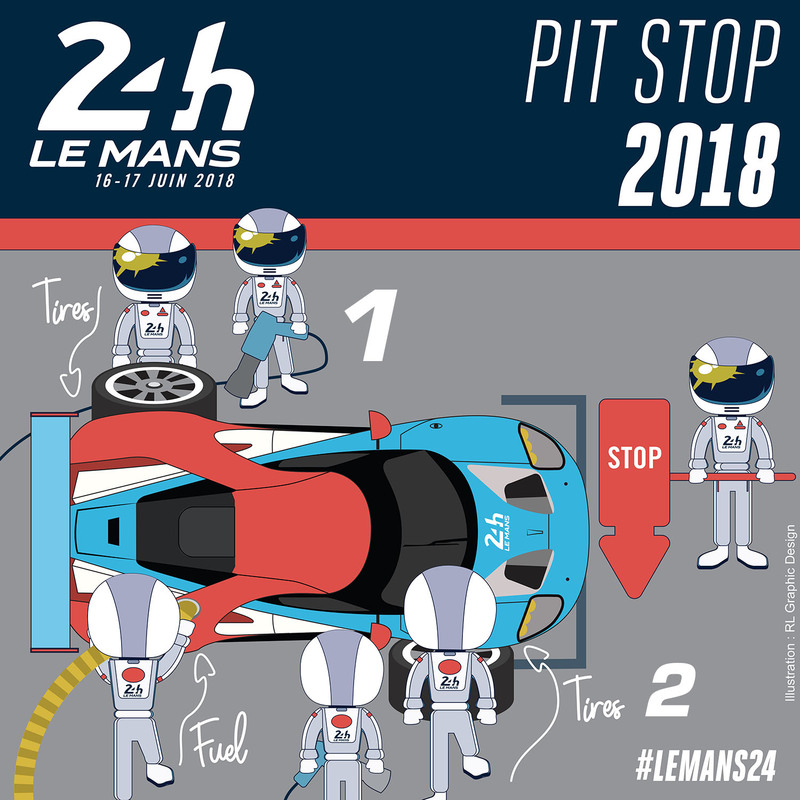 Nonetheless, despite the rule change, pit strategy will undoubtedly continue to play a key role at the 86th edition of the 24 Hours of Le Mans on 16-17 June. Photo (Copyright ACO/Nikon): The Porsche 911 mechanics wait for refuelling to finish before changing tyres at the 2017 Le Mans 24 Hours.